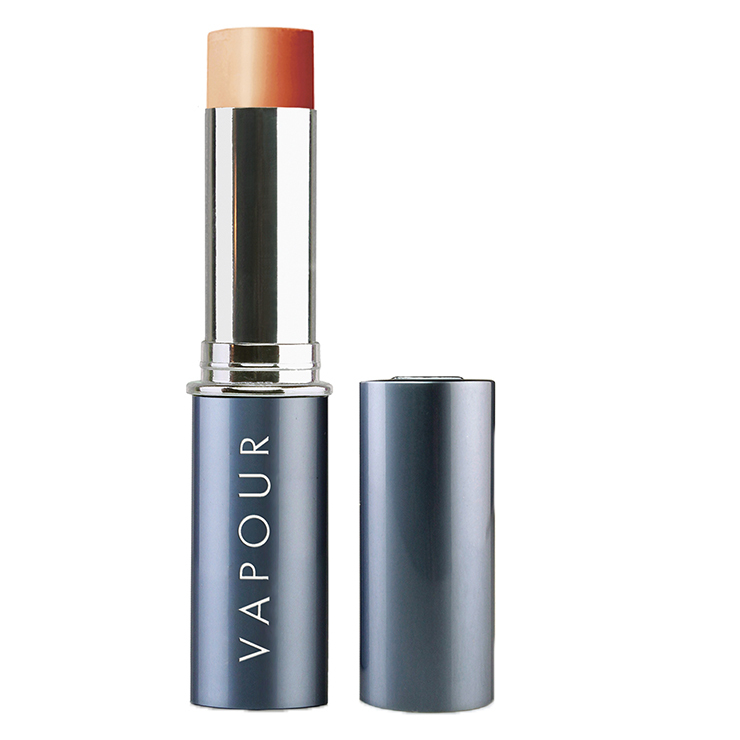 Create a naturally bronzed look with Vapour Solar Bronzer. An easy-to-use stick makes application a snap and the cream formula is super blendable, no orange color or streakiness. Calendula and shea butter moisturize skin, while pomegranate and elemi lend a clear, even appearance. Myrrh, acai, and green tea make skin look radiant and youthful. 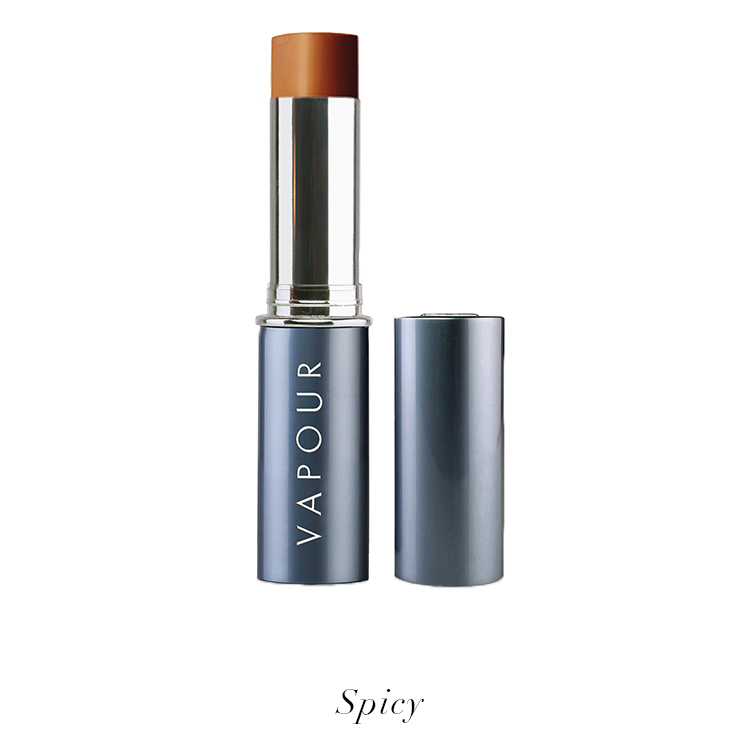 This formula feels gentle even on sensitive skin and won’t cause the look of clogged pores. Choose from 3 gorgeous colors designed to enhance all skin tones. Warm bronzer against back of hand and apply to areas of face where shadows naturally occur, like below cheekbones, sides of nose, jawline, and hair line. Blend with fingertips for a natural look. May also be used on shoulders, neck, décolletage, arms, and legs, or blended into facial lotion for a tinted moisturizer. Organic Helianthus Annuus (Sunflower) Seed Oil, Organic Cera Alba (Beeswax), Silica, Mica, Castor Isostearate Beeswax Succinate*, Ricinus Communis (Castor) Seed Oil, Organic Punica Granatum (Pomegranate Oil), Organic Butyrospermum Parkii Fruit (Shea Butter), Organic Carthamus Tinctorius (Safflower) Seed Oil, Organic Punica Granatum (Pomegranate) Extract, Tocopherol (Non Gmo Vitamin E – Soy),, Solanum Lycopersicon (Tomato) Fruit/Leaf/Stem Extract, Canarium Luzonicum (Elemi) Gum Nonvolatiles, Wildcrafted Commiphora Myrrha (Myrrh) Gum Oil, Organic Euterpe Oleracea (Açai Berry) Extract, Organic Calendula Officinalis Flower Extract, Organic Camellia Sinensis (Green Tea) Leaf Extract, Pogostemon Cablin Oil, [+/–: Titanium Dioxide (Cl 77891), Iron Oxides (Ci 77491, 77492, 77499)], Carmine (Ci 75470)].